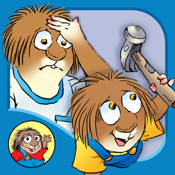 Join Little Critter in this interactive book app as he spends the day helping his dad! Explore pictures, learn new vocabulary, and personalize the story with your own narration. From making breakfast to cutting the grass and washing the car, find out how Little Critter always tries his hardest!